Struggling UK retail and distribution group, WH Smith, has reached agreement with a private equity group to sell two companies in Australia and New Zealand. Pacific Equity Partners(PEP), based in Sydney, is to pay £47m ($83.4m) to buy WH Smith's retail business in the two countries, and also in Hong Kong. 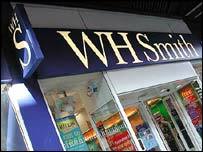 It comes a day after WH Smith revealed a pre-tax loss of £72m for the six months to 29 February. The agreement is subject to certain financing and regulatory conditions. The deal consists of Smith's retail businesses in Australia, which includes Angus & Robertson, the country's biggest chain of bookstores with 18% of the national market. It also involves Whitcoulls, New Zealand's leading book retailer with 40% of that market. The acquisition further includes a business that operates retail stores in airports in Hong Kong, New Zealand and Australia, but not the Singapore Airport operations. PEP Managing Director Rickard Gardell said the existing management team will remain and the buyout was expected to be completed by the end of May. "There will certainly be a review of strategic growth opportunities in Australasia and beyond, as well as a continued focus on operational improvement," Gardell said in a statement. In the year to 31 August, 2003, ASPAC generated £5m of operating profit, and had net assets of £28m on the same date. A sell-off of the business had been widely predicted by analysts, as a necessary move before any buy-out of WH Smith's by Permira, the private equity group that has made a £940m indicative offer. On Thursday, WH Smith's announced a host of exceptional charges, a 33% dividend cut, and 270 head office job cuts. The firm also said it would be allowing Permira to look at its books. Poor sales figures and a slump in its share price over the past six months have left WH Smith open to predatory bids. Permira's bid is being fronted by Simon Burke, the former head of Hamleys toy store and a former WH Smith board member, and Keith Hammill, chairman of menswear retailer Moss Bros and a former WH Smith finance director.